You will never know when the next car problem will come up, regardless of how much you do your best to take good care of your car. There will be instances when you will need roadside assistance. Regardless if it is about an accident or a mere mechanical failure, it can be a real bummer to be stuck in the road with a broken car. This is when you will need towing services. 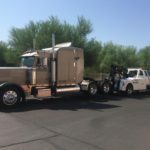 The towing equipment that will be used by the towing company such as Central Towing will depend entirely on the type and the size of the vehicle. However, it usually falls under one of these five types. These types of vehicles and towing services are used depending on what is being towed. Booms are typically used for tow trucks and are used for situations such as when the vehicle is stuck in a ditch, culvert, or embankment. This can also be used when the vehicle is placed in an area where it would be impossible to back it up to safety. In addition, a belt lift or a sling is an equipment which is also used for the recovery of vehicles. Even if they have a very useful function, they are not really used by many towing companies nowadays because of the bumper scratches they can cause. However, for cases when the wheels or other parts of the cars involved have been detached from the vehicles, slings are still the ones used. The flatbed is where the vehicle will rest once it has been pulled out of the road or wherever it was “rescued” from. The flatbed can be moved with the help of a hydraulic press and can be lowered so that it is on ground level. The vehicle will be hauled in it with the use of a winch. 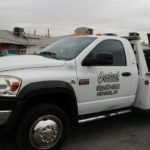 It is important that you hire a reputable towing company such as Central Towing for many reasons. There is no national law or regulation guiding the operation of towing companies. 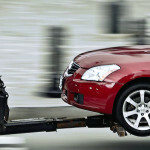 Usually, local rules and regulations are followed by towing companies. You want a towing company to be in the know of all these rules. Also, you need to find out if there will be limitations as to your access to your vehicle when it is being moved. There are some companies that might restrict your access to your vehicle especially if it is going to be temporarily stored in one of their facilities. With the limited access to your vehicle, you might find it difficult to get your hands on important documents or any other valuables you may have in your vehicle. It may take days before you are actually allowed to access your vehicle, making the retrieval of important stuff in the car difficult. Do not wait for an accident to happen to find out what towing services companies like Central Towing can offer you. Find out what kind of help is available to you and what kind of equipment they have ahead of time so that you simply have to pick up the phone and dial their number when your need arises.